Grilling has long been associated with breezy summer nights and friends gathered to feast on good food while making new memories together. That’s how I found myself spending a sultry Sunday afternoon down South in Alabang together with my fellow foodies. The host of this lively gathering is Skewered, the nautical-inspired eatery that brings together grilling traditions from many parts of the world. 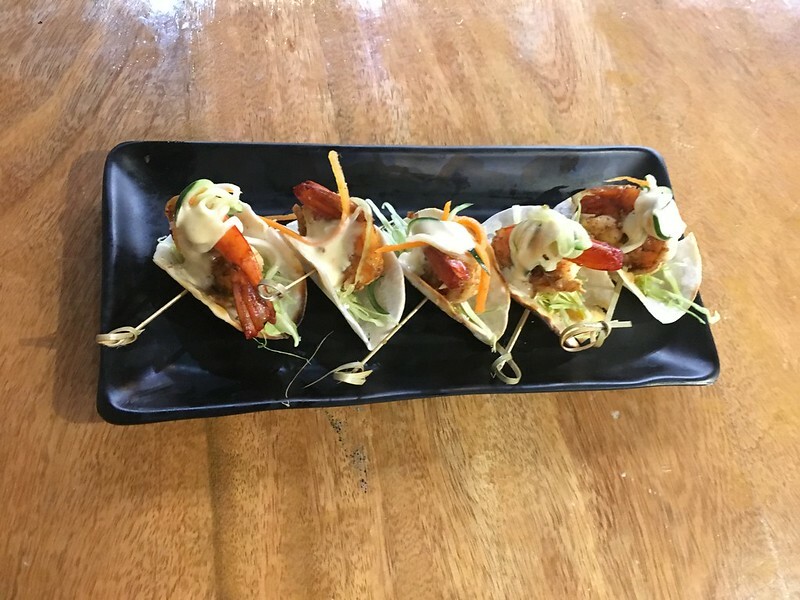 Shrimp Tacos (Php229). Marinated and grilled shrimp served in soft taco shells. 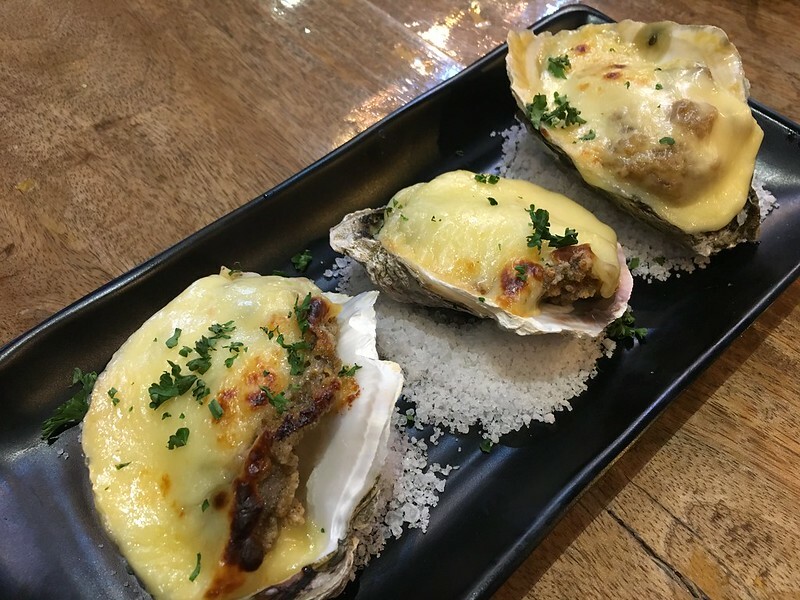 Oyster Gratin (Php229). Three large fresh oysters, grilled and topped with house-made aioli gratin. 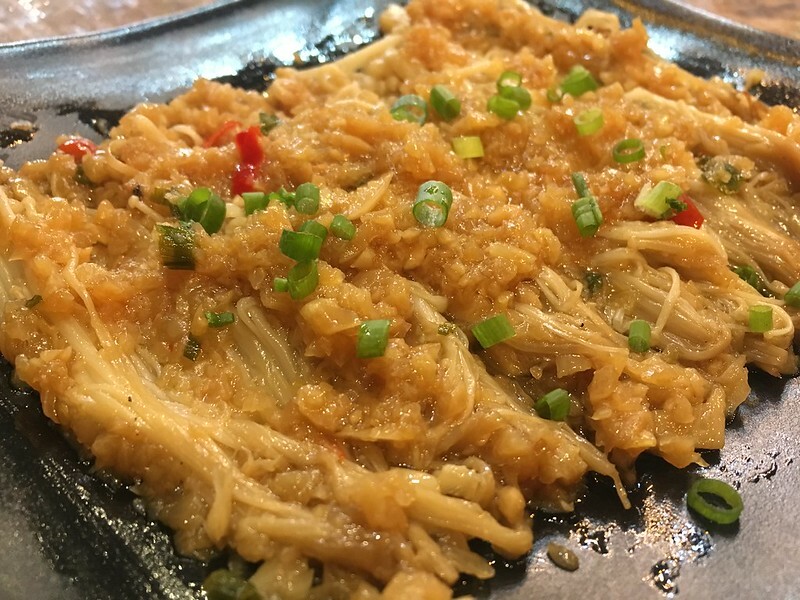 Garlic Enoki Mushroom (Php149). Baked enoki mushroom served with house-made garlic sauce. Grilled Talong (Php129). 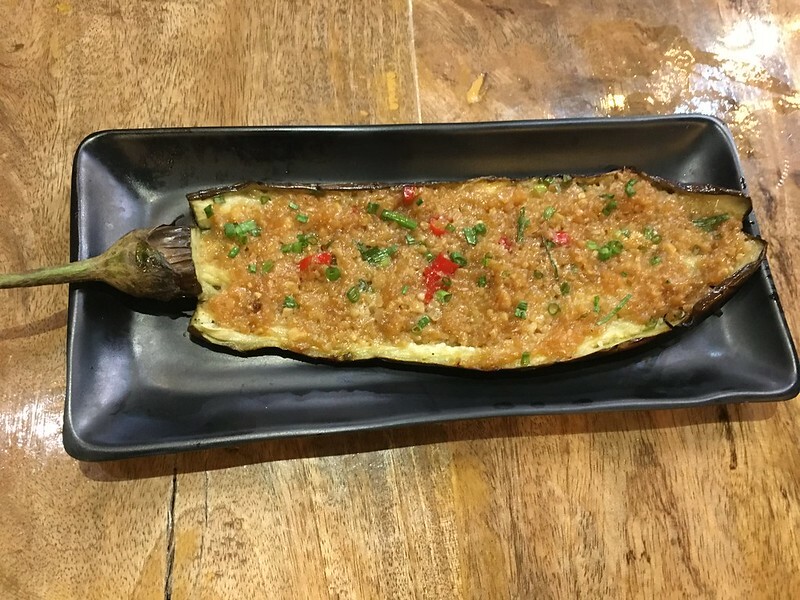 A whole eggplant, grilled then coated with house-made garlic sauce. Singaporean Shrimp Satay (Php199). Skewered shrimps, marinated and grilled, then served with the traditional peanut sauce. Torched Beef Salpicao (Php349). 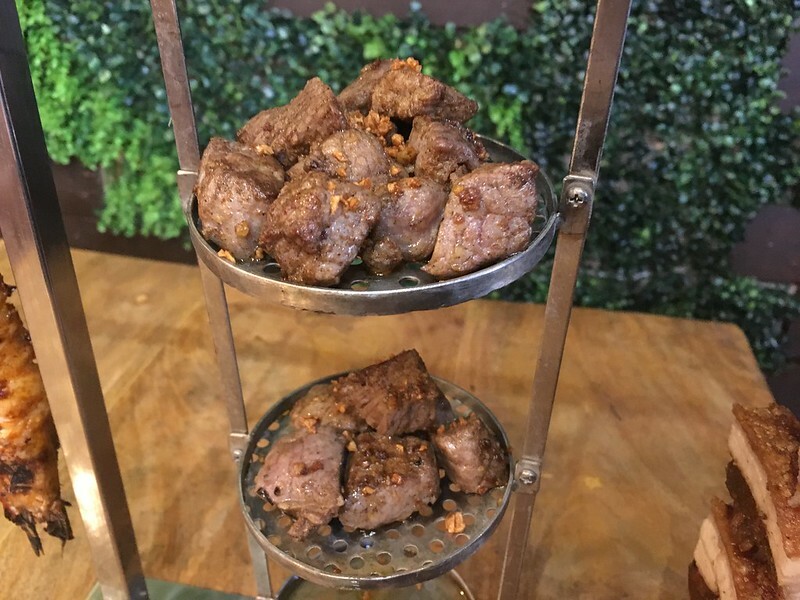 Beef salpicao served hanging, torched at the table and drizzled with butter sauce. 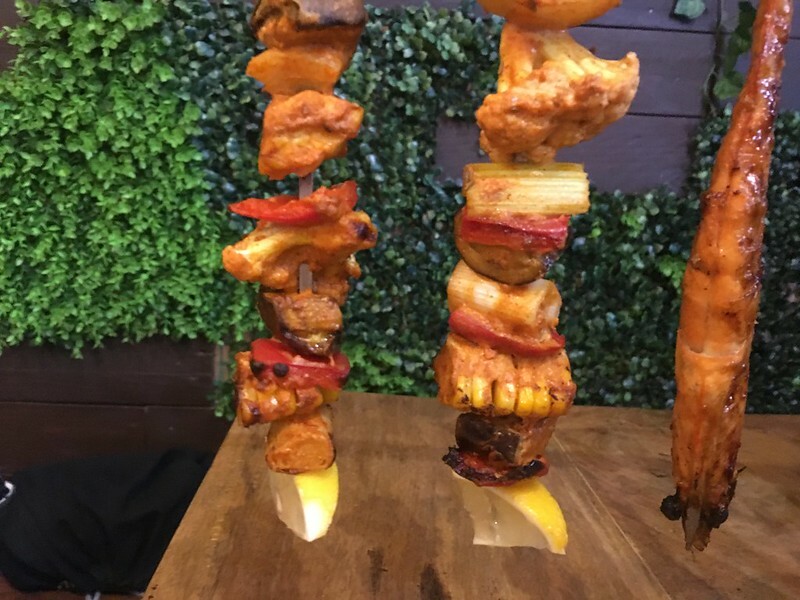 Veggies Skewer (Php169). 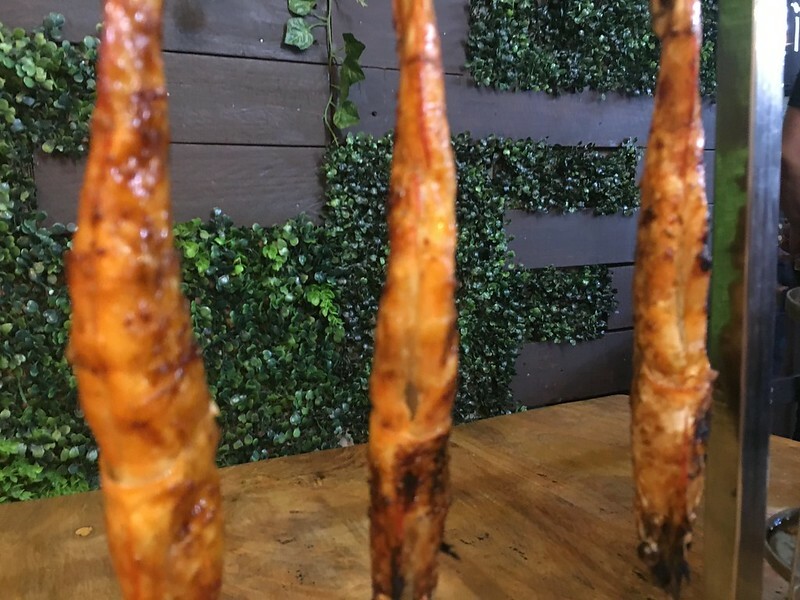 Two sticks of mixed marinated and roasted vegetables. Skewers: Chinese Beef (Php41), Chinese Lamb Php45), Chinese Pork (Php36), Chinese Chicken (Php36), Meat Balls (Php36). 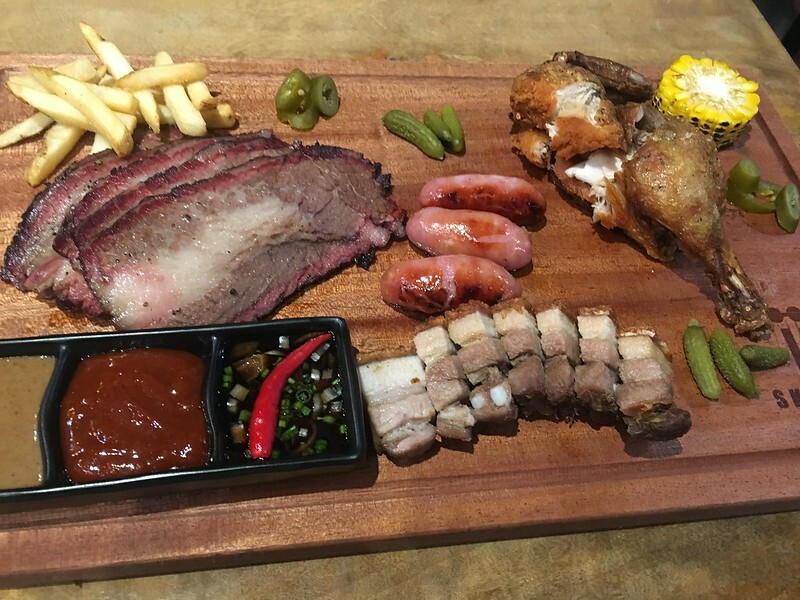 Meat Platter (Php1,299). 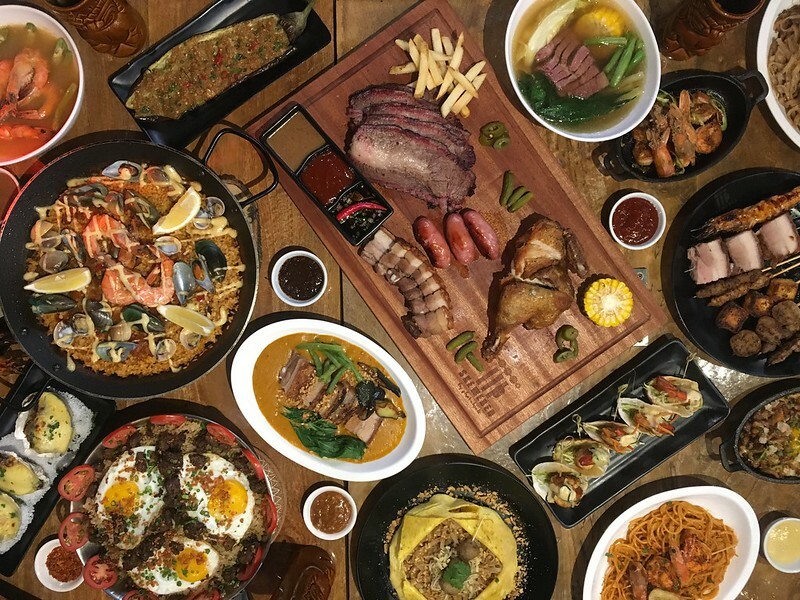 A carnivore’s dream come true: 200g Wagyu beef brisket, half of a roasted chicken, 150g Lechon Pork Belly, 3 pcs of Taiwanese sausages, and choice of 2 sides from among coleslaw, buttered corn, house salad, fries, mac n’ cheese and steak rice. Tapa Rice (Php299). 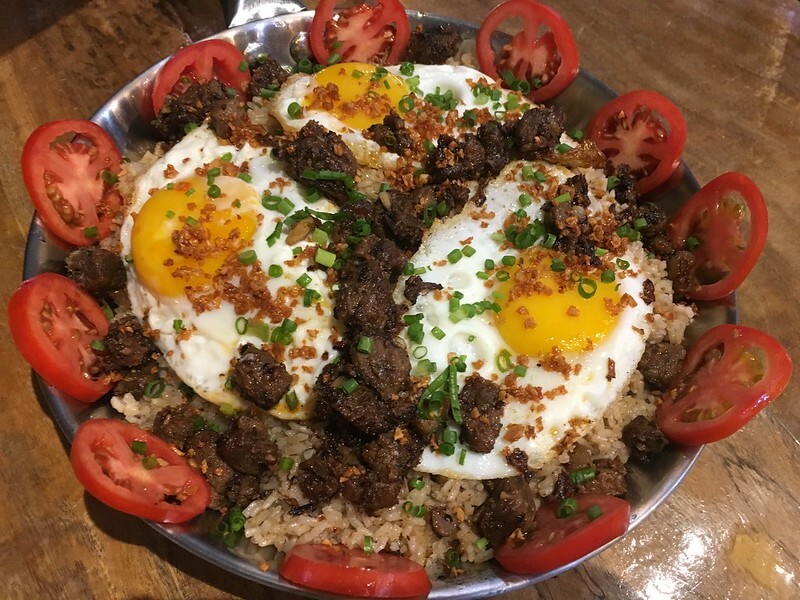 Savory rice flavored by beef tapa topped with fried eggs and tomatoes. 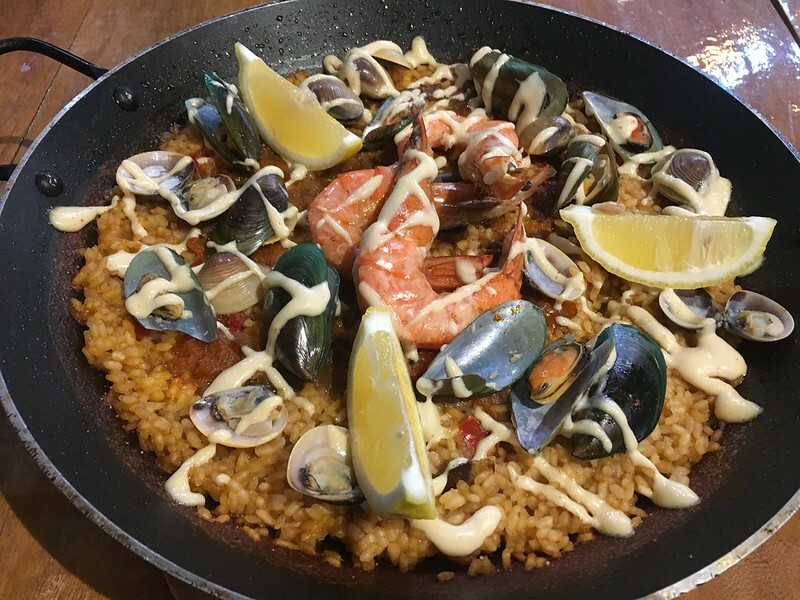 Seafood Paella (Php439). The offshoot of the Spanish rice dish made with a creamy tomato base, fresh shrimp and clams, drizzled with aioli and served in a traditional shallow pan. 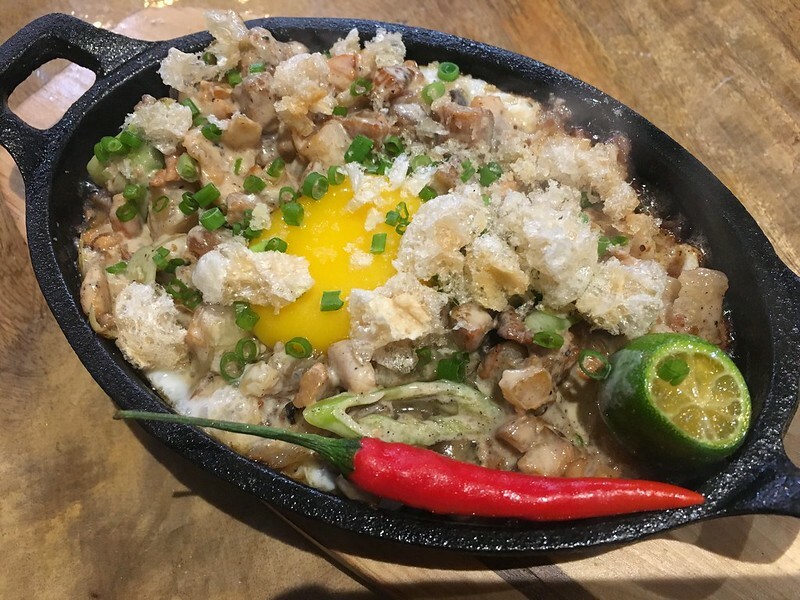 Sizzling Lechon Sisig (Php279). Classic Pinoy roasted pork cooked and served as a crunchy and spicy sisig. 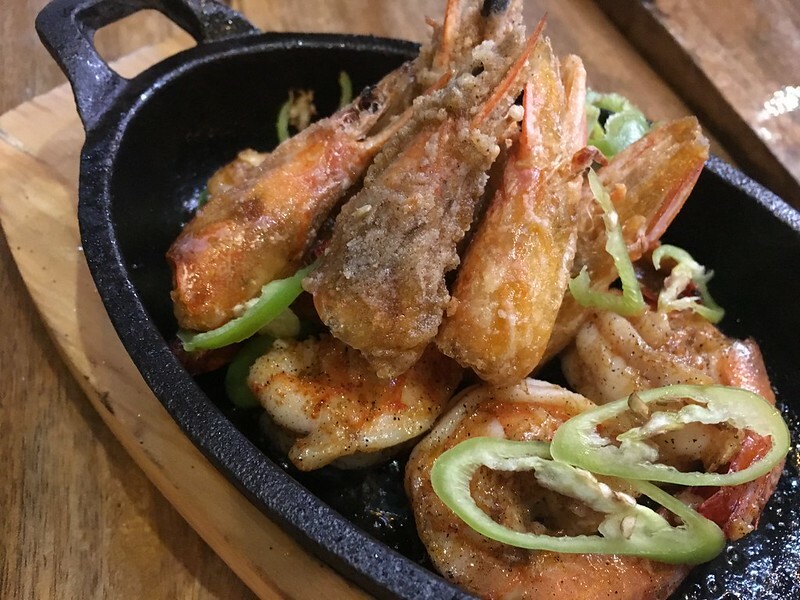 Gambas al Ajillo (Php239). Plump shrimps sauteed in garlic and served sizzling. Sinigang na Hipon (Php319). 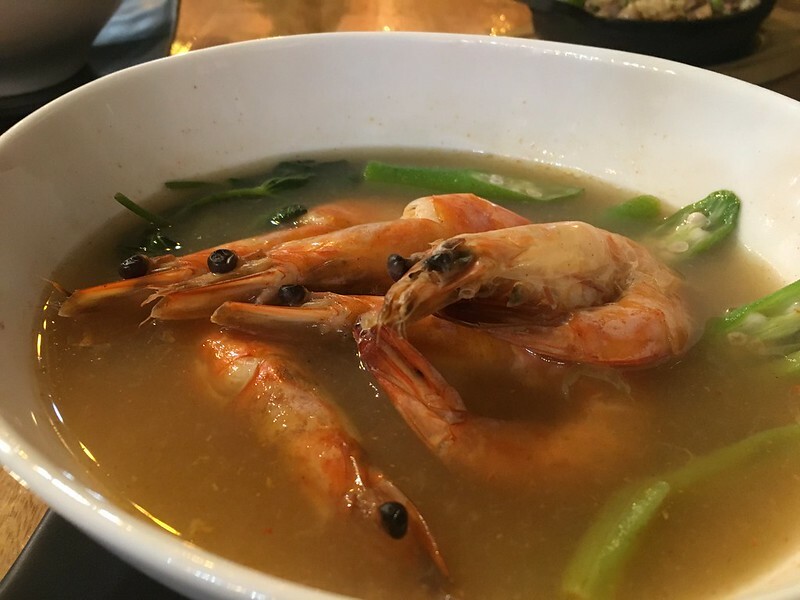 The sour soup dish of shrimp in a tamarind-flavored broth. Beef Brisket Nilaga (Php329). 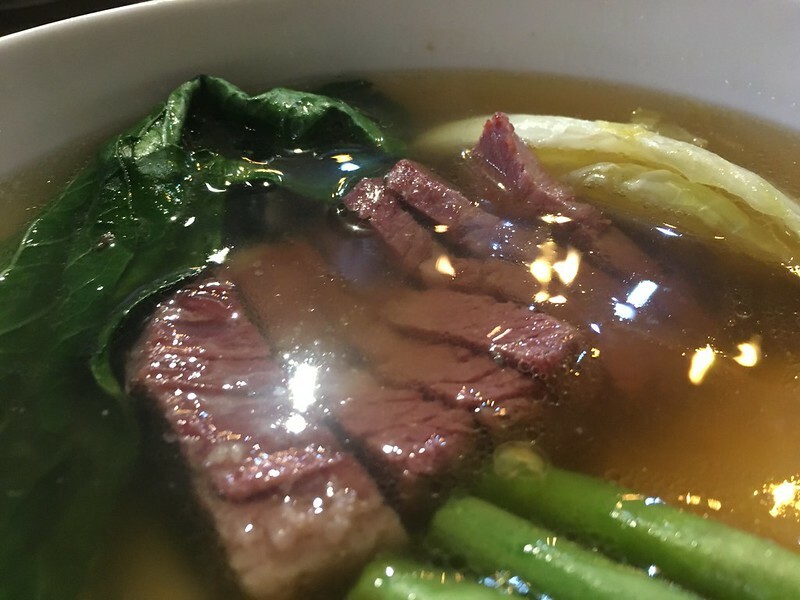 Smoked wagyu brisket cubes served in a flavorful nilaga broth. Kare-Kareng Lechon (Php399). 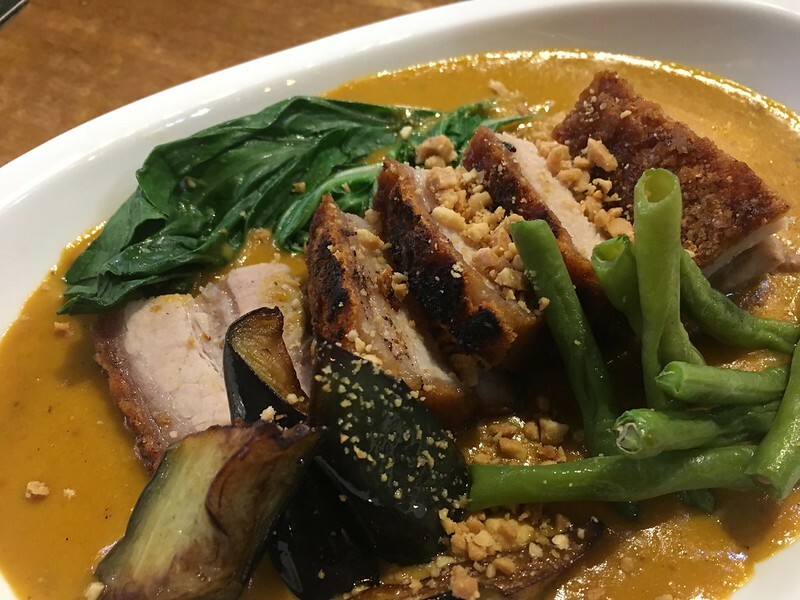 Roasted pork served in a rich peanut sauce together with crisp vegetables. 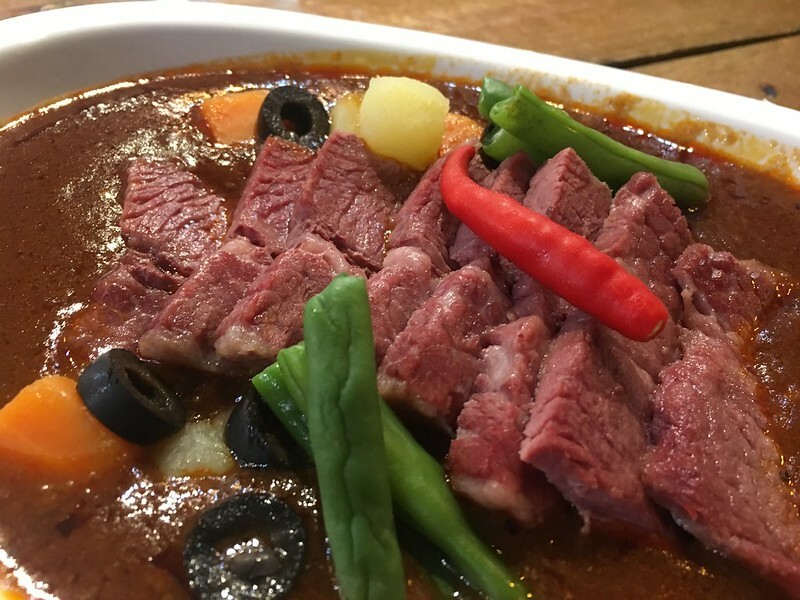 Wagyu Corned Beef Kaldereta (Php409). The house-made wagyu corned beef prepared as flavorful caldereta with veggies. Beef Hofan (Php239). Stir-fried and flambeed rice noodles mixed with beef bits and chopped vegetables. 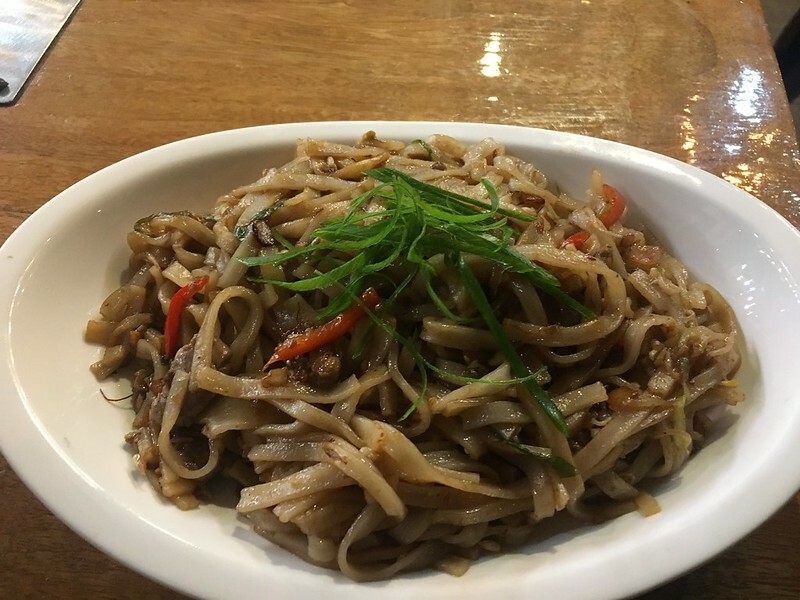 Pad Thai (Php349). 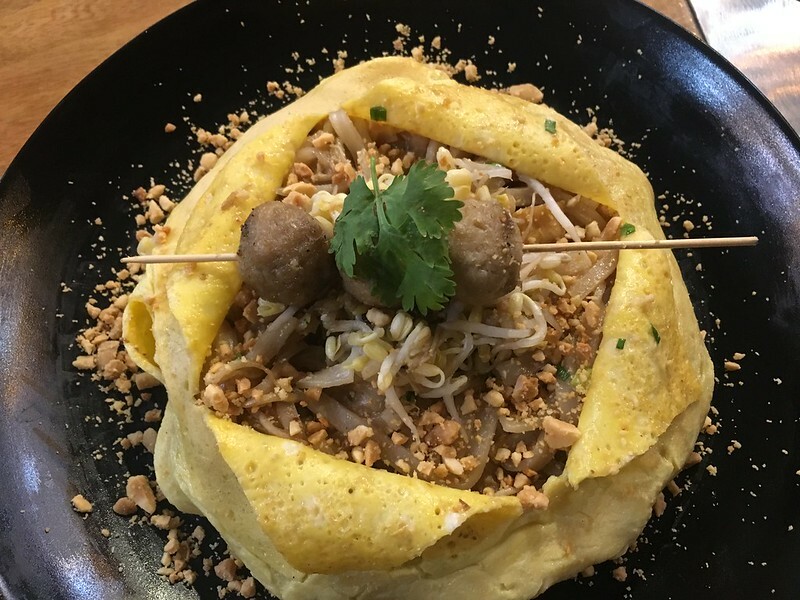 The classic stir-fried rice noodle dish served wrapped in a delicate egg omelette. Spaghetti Aligue (Php319). 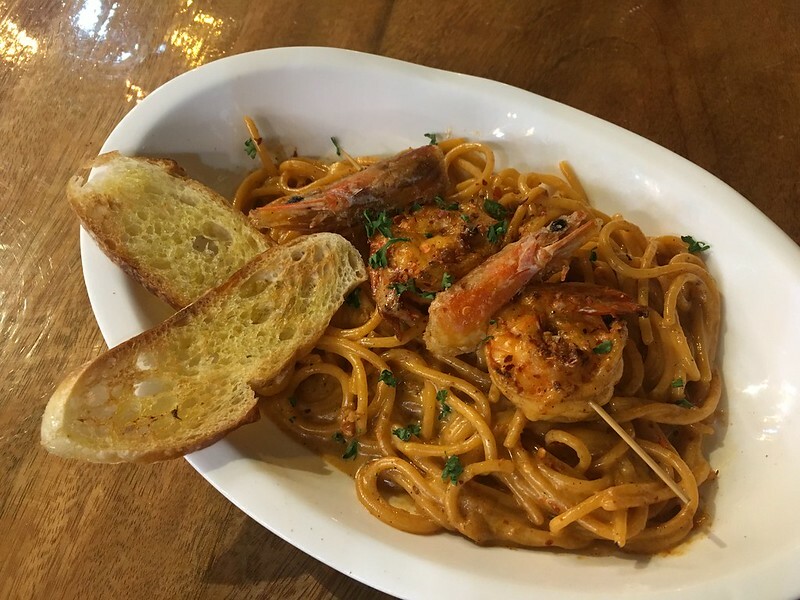 Spaghetti noodles tossed in a rich crab fat sauce and served with a freshly grilled shrimp. 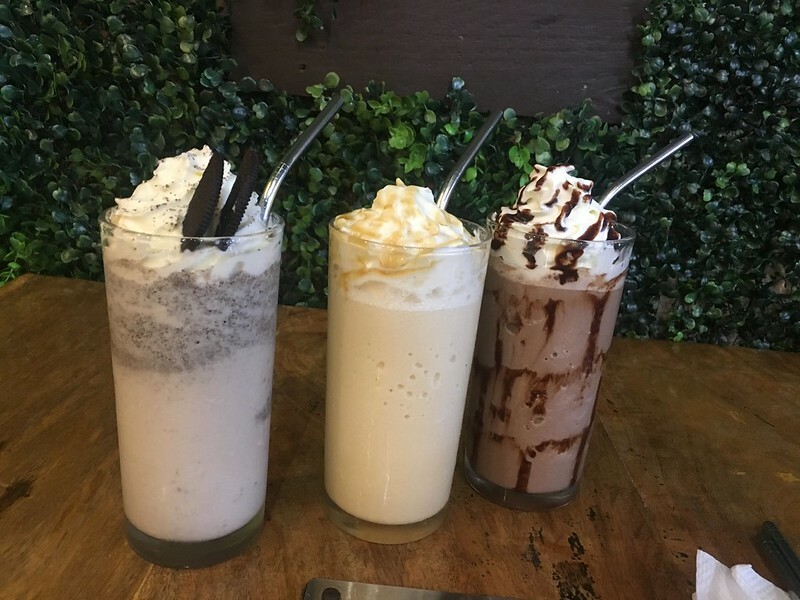 To cap our meal, cater to our craving for sweets and to quench our thirst, prettily designed dessert drinks were served (with reusable metal straws at that!). Strawberry Shake Special (Php189). Strawberry milkshake overloaded with a strawberry Pocky stick, marshmallows, strawberry pretzels and a scoop of strawberry ice cream. 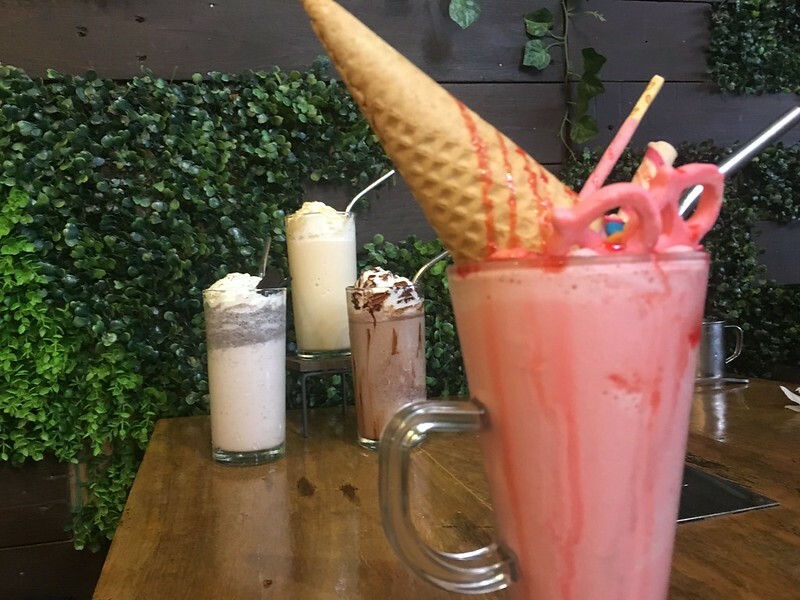 Choko Shake Special (Php199). 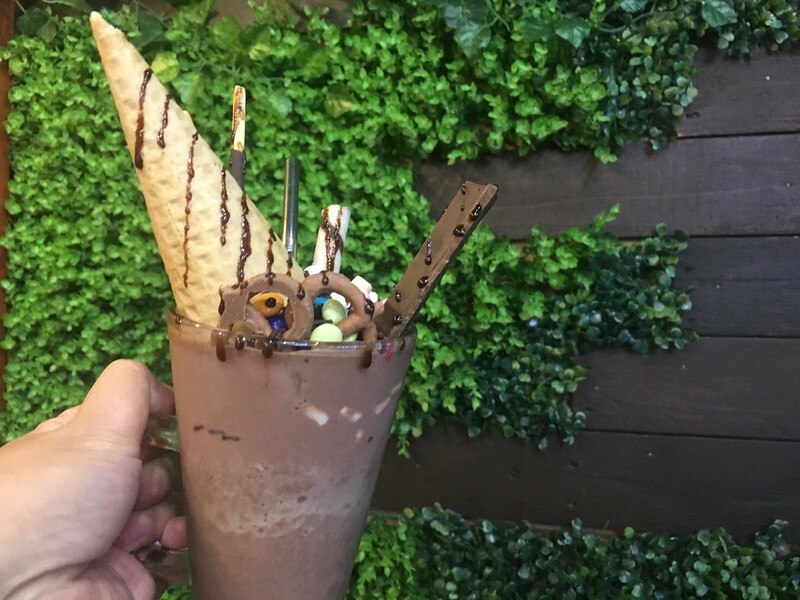 Chocolate milkshake overloaded with a chocolate Pocky stick, M&Ms, mini marshmallows, KitKat stick and a scoop of chocolate ice cream. 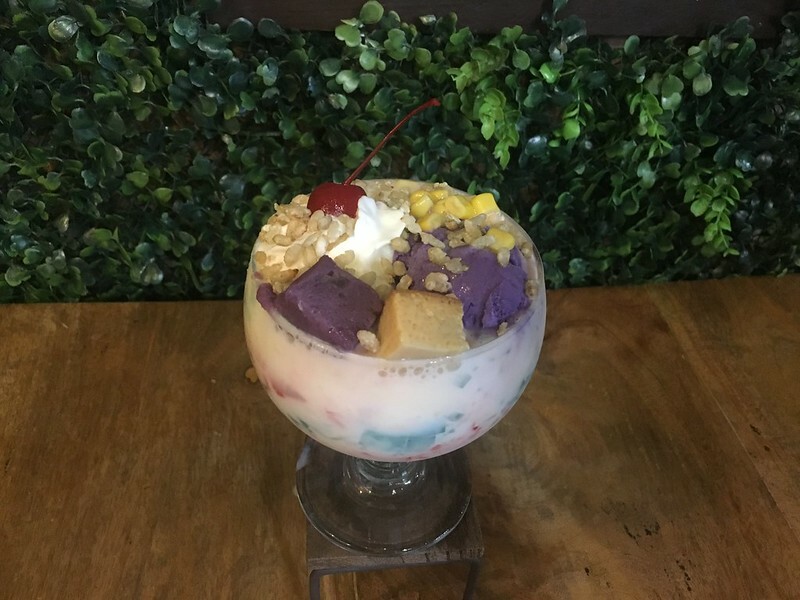 Halo-Halo Frappe (Php199). The all-time Pinoy favorite shaved ice dessert given a fresh twist. 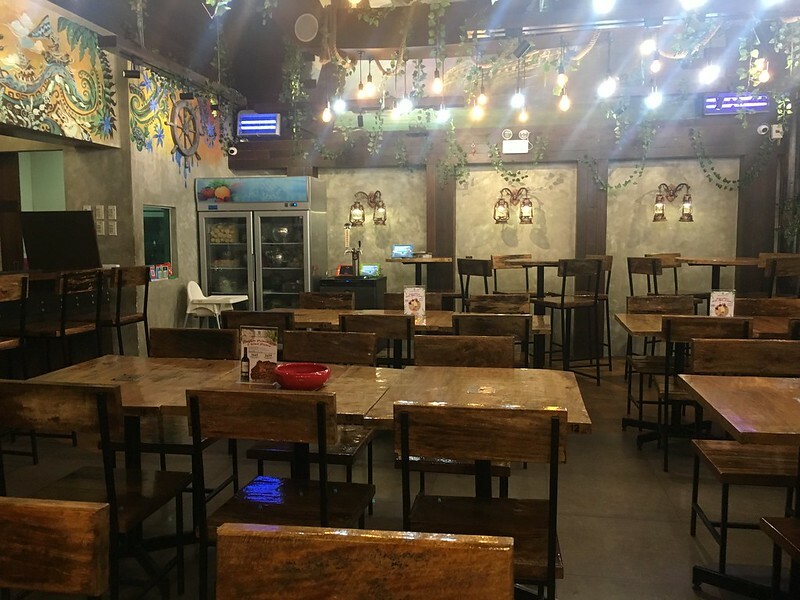 Skewered does a good job in curating and putting its fresh takes in various dishes. While the pork dishes tend to be salty, the beef dishes are marked by juiciness and flavorfully tender texture. Despite the plethora of food it served during this foodie meetup, there are more waiting to be discovered and tasted. I won’t mind coming back here for more foodie adventures with my friends. 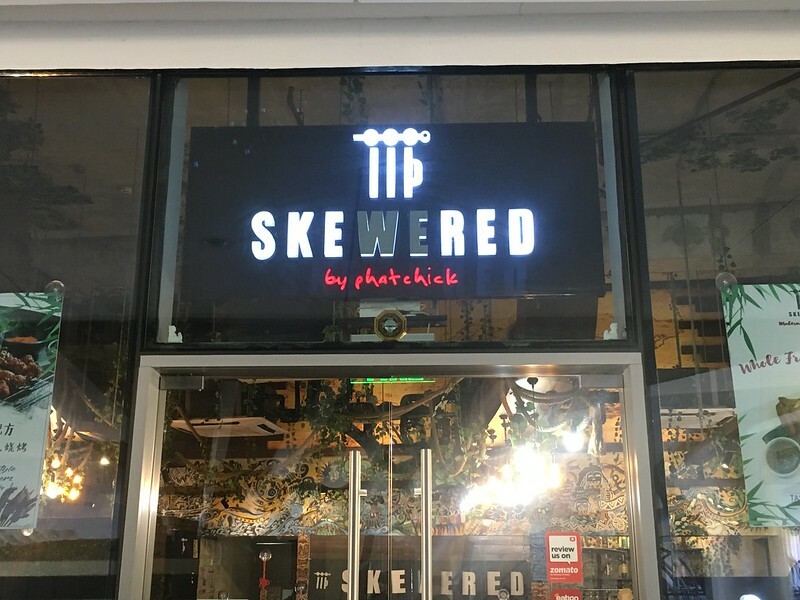 Skewered is located at Ground Floor, Water Garden, Festival Mall, Filinvest City, Muntinlupa, open daily from 10am to 4am with Happy Hours at 3pm to 7pm. For inquiries and reservations, call +63 2 8216745, +63 928 1796025 or +63 945 2476249. And guess what? 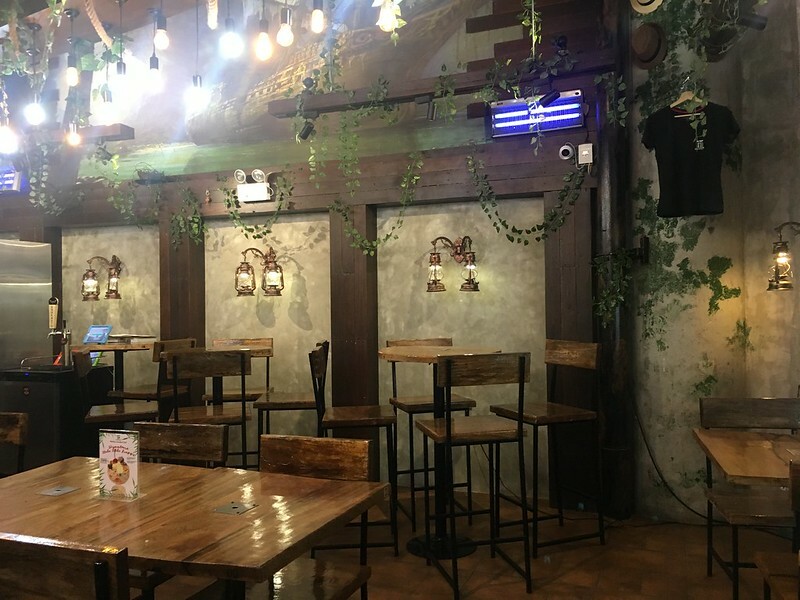 Since this is a Zomato Gold partner establishment, you can get some of your food orders for free! Zomato Gold provides members with 1+1 deals on food or 2+2 deals on drinks. All you have to do is sign up for a Zomato Gold membership here. Use my code JELLYB to get 20% off the membership fee. 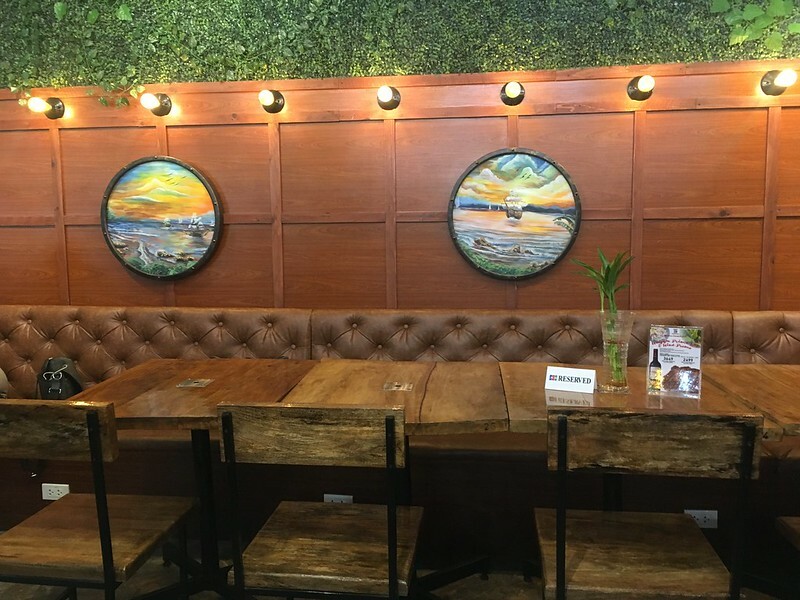 Disclosure: Together with other foodies, I was invited to join a foodie meetup held at this restaurant. Food items mentioned here were served to allow us to sample the fare and were not paid for by the attendees, including myself.